Last week I told you about my Lunch 'n Learn about Class Dojo. So, what exactly is Class Dojo? Class Dojo is an amazing website that helps you monitor student behavior. And the best part is that you can use your iDevice as a remote control of sorts. First you load your classes. Dojo assigns each student a cute little monster. Then you can customize your positive and negative behaviors. Now you're ready to go. As you walk around monitoring your students you can award them points or take away points based on your expected behaviors through your iPhone or iPad. I like to use the random button to let Dojo suggest a student. It helps me make sure I'm not focusing on certain students. Don't have an iDevice? No problem! Dojo works just the same from the website. You can put Dojo on the projector while students work. When you award points that way, Dojo makes a little sound. 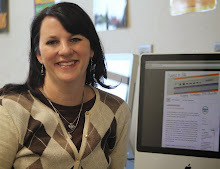 One of my favorite stories from the LnL was a teacher who wanted her students to encourage to each other in group work. She put "encouraging" as a positive behavior. After she awarded one student an encouraging point, she began to hear more and more students encouraging each other. "Good job!" and "Great ideas!" abounded. Class Dojo creates awesome reports. You can get an overall class report or individual student report. The student reports give an overall score for that student as well as a break down of points awarded. 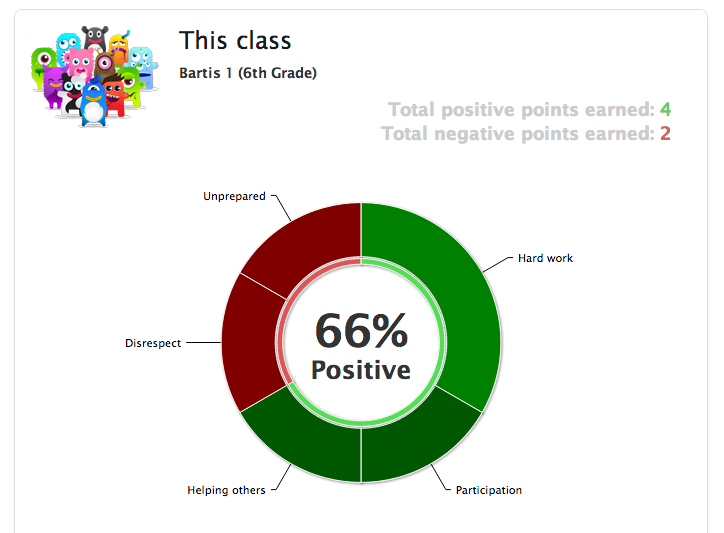 You can also invited your students and parents to Class Dojo to track their results. if you're class is having a rough day, show the class report and simply ask "Do we think this is acceptable?" It's powerful! Have you used Class Dojo? Do you have questions? Let's hear in the comments!